Fort McMurray resident Ryan Short and his wife were changing planes in Calgary Wednesday morning after flying in from Edmonton on their way to Palm Springs for a late winter holiday. Ryan Short and his wife were on their way to Palm Springs for a late winter holiday. They had arrived in Calgary from Edmonton, where they switched planes. They had just boarded the plane, a Boeing 737 Max 8, for the final leg of the trip, when the pilot came on the intercom, Short said. "Everyone boarded the plane just fine and we're getting ready to pull away, and that's when the pilot comes out and lets us know what's going on with the grounding of these planes." The Canadian transport minister had just grounded all Boeing 737 Max 8 aircraft until further notice, following the recent Ethiopian Airlines crash that killed all 157 people on board, including 18 Canadians. 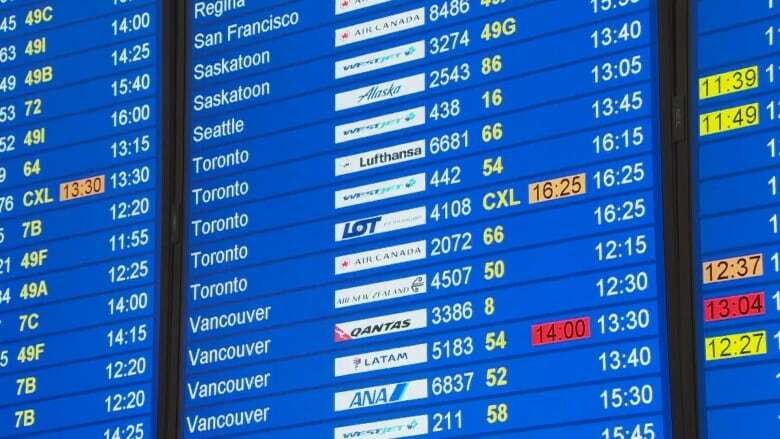 At the Edmonton International Airport, three flights were affected on Wednesday, two inbound from Toronto and one departing to Toronto, said spokesperson TraciBednard. Short said after the pilot broke the news, he offered good news and bad news. The good news was the airline had another plane available to complete the flight. The bad news was it was a smaller plane, meaning some passengers had to remain in Calgary. "It has to happen, and I don't have any control over these sort of things," Short said. "It's just kind of frustrating that our new plane is going to be smaller and there's only about 30 people who have to readjust their plans. "We have a shorter trip — we're flying back on Sunday — so we kind of hope we're not one of those 30 people."